September is a tad bit early for viewing colorful leaves around here. You might catch a few brilliantly colored leaves here & there, but not many. For example, here’s how things looked in mid-October last year. But there are still plenty of fun sights to see along the Natchez Trace Parkway during that time of year! If you’re going to stop for a hike, you can enjoy a short and relatively effortless walk through the woods and along the streams found on the Trace. Most of the waterfalls are also just a short hop, skip & jump away from the parking areas. Or, our personal favorite for a longer, more strenuous hike is the Old Trace Hiking Trail found at milemarker 426.3. We live on the northern end, so my favorite things to see & do on the Natchez Trace Parkway tend to be between Columbia and Nashville. One of my favorite reviews of the Natchez Trace Parkway is Gypsy Journal’s summary of their RV trip on the NTP. It’s loaded with fun stops and general info. Well, I hope you enjoy your trip to the States, Leo. I’m sure you will have a great time on the Parkway — no matter what you decide to see & do while you’re there. Just remember…get food & gas when you can (there are no stores or gas stations on the Parkway, so you have to drive a few miles to get to them), stop for a restroom break whenever you see public restrooms ahead (there are only a few on the Parkway itself), and don’t speed on the Natchez Trace Parkway! 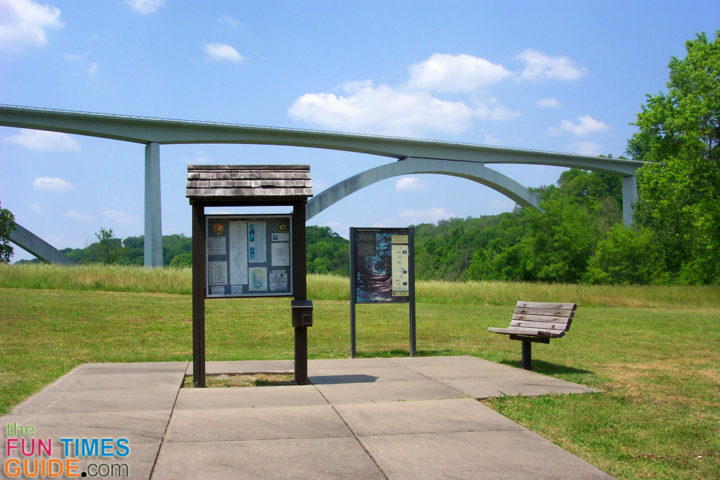 Get tips about the Natchez Trace Parkway via email for free.